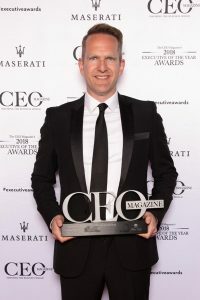 Intrepid Group CEO James Thornton has been recognised as the joint Hospitality and Tourism Executive of the Year at CEO Magazine’s 2018 Executive of the Year Awards. Thornton was also shortlisted for the major award; CEO of the Year. The awards are considered Australia’s most prestigious business awards event, recognising the exceptional contribution made by the CEOs, managing directors, and senior management who drive Australia’s leading organisations in a range of sectors. “I’m equally humbled to accept the award as I am to lead Intrepid Group. We are finishing off a spectacular year of growth and significant milestones; having become Australia’s largest certified B Corp, and largest travel company in the world to achieve the rigorous certification. Our growth, coupled with our purpose beyond profit, means that as a business, we can be an even greater force for good” commented Thornton. 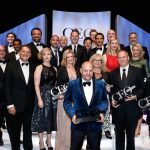 Now in its seventh year, the 2018 Executive of the Year Awards were the biggest yet, with more than 550 guests and nominees attending from the country’s most respected and innovative brands. Intrepid Travel has also been awarded Best Family Tour Company at the Family Travel Magazine Awards. The awards were a result of over 120,000 unique votes.